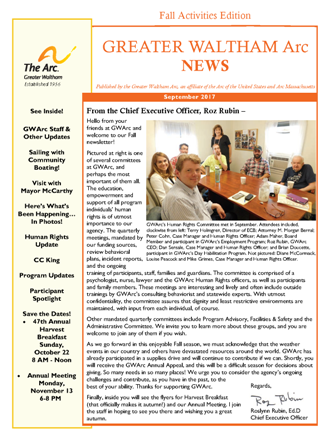 GWArc's September Newsletter is Here! Read all the latest news! Get the latest news! Click here or on the image below to read our September 2017 newsletter.